Your children are idiots. They will break from cover to observe a potential food item while there is literally a falcon circling right over head. They will bolt into the darkness at the sound of a twig snapping, forcing you to round them up before they get eaten by invisible predators. You harry them along, constantly looking back over your shoulder, taking a quick headcount every minute or so, praying they are all right behind you as you make that mad dash for safety, again and again. You will panic when you realise you have lost one, and that panic will sink into dejection when you realize she must have been swept away in the river without you even noticing. The premise is so simple, but the stakes are the highest imaginable. You will taste motherhood. Most of the time, you will lose your children, but you will keep ploughing forward. Finally, you will realise that shelter is not a place. Banished is a survival game disguised as a city builder. You begin as a small band of exiles with a storehouse full of potatoes and not much else. You must immediately secure a source of food, build enough homes and then hunker down for the winter and hope no one dies. Because in the early stages of this game, the death of even one citizen can be devastating. Your citizens are easily your most precious resource in Banished. They are both the means and motivation for survival. You must manage your population dynamics carefully. Expand too quickly and soon you will have too many idle young mouths to feed. Expand too slowly and all your labourers start dying of old age, with no one there to replace them. It can be tempting to pull your students out of school and into the workforce to cover a labour shortage, but in the long-run, educated workers are more productive. An influx of nomads can provide a much-needed wave of fresh workers, but they may also bring diseases that can decimate your town unless you’ve spent resources building hospitals and herbalists. Your town will never be beautiful, but do your job right and it will be functional. It will run, maybe not quite like a well-oiled machine, but more like a robust organism, requiring only cursory prodding and pruning to ensure the health and happiness of your townsfolk. Rich harvests, bulging storehouses and bustling markets; this is closest you will come to a sense of real victory. Many survival games let you reach a tipping point where you can get comfortable. You secure a reliable flow of resources and then you can start improving your situation: stockpiling, upgrading, fortifying. Eventually, the challenge plateaus and you can continue indefinitely, clocking up days safe behind the walls of your shelter with your giant pile of food. You can sustain. 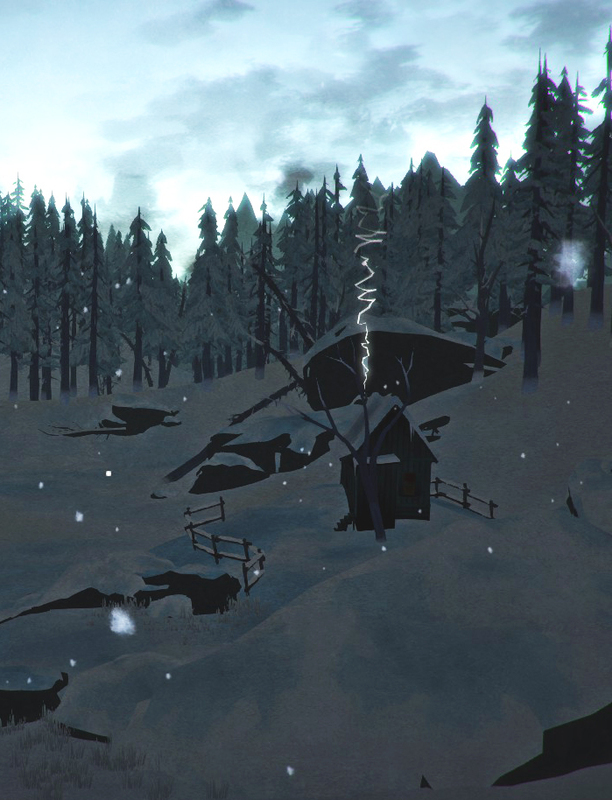 The Long Dark is not that game. You are always hungry, always thirsty, always on the verge of collapsing on your feet. There is no respite from the clamour of your own needs. Moments when you can afford to stop and take in the desolate beauty of the frozen mountains and inky forests are as rare as they are breathtaking. All but the most rudimentary of resources (food, fuel and water) are finite. Everything degrades, everything decays. Maybe you will get the hang of hunting, but eventually your hatchet will break or you’ll run out of bandages, and you must pick up and migrate to another area, find some abandoned houses you haven’t raided yet, rummage in drawers and cupboards for junk that could save your life. To sit still is to die, and so you are never really safe from the deadly wind and the snow. Of course, you’ll die anyway. Savaged by a wolf or lost in a storm or just fading away in your sleep. In The Long Dark, death is always your ending. This is a game about snatching one more day. huh. So- the game that allows for a really good ending is about community- not solitary survival. I mean, it sounds like the badger one could go either way.